These files are required for plotter and printer setup in BG-Map. 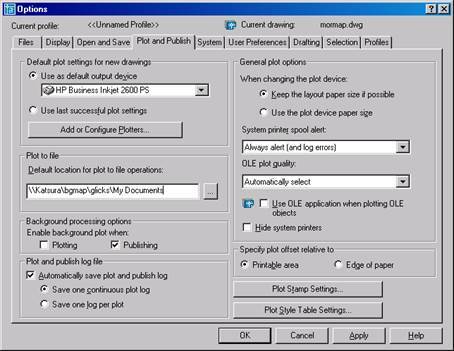 Plotters – used for printing maps to the screen in Visitors QUICKFinder and to export maps to GreVid. To download, Click Here. The name of the file is PLOTTERS2.ZIP - Unzip it into your AutoCAD Plotters folder, following the instructions below. PMP Files control line custom paper and image sizes. To download the BG-Map PMP files, Click Here. The name of the file is PMPFILES.ZIP - Unzip it into your AutoCAD PMP Files folder, following the instructions below. Plot Styles control line weight and color in book maps and large format maps. To download the BG-Map Plot Styles, Click Here. The name of the file is PLOTSTYL.ZIP - Unzip it into your AutoCAD Plot Styles folder, following the instructions below. Note: The file locations may be dependent on who logs into the computer. Make certain to log in under the name you intend to use when using BG-Map. At the AutoCAD command line, type CONFIG, and hit Enter. This will open the AutoCAD Options Window. Click the "Plot and Publish" tab. Click “Add or Configure Plotters”. This will open the Plotters folder. This is the correct location to extract the plotters (PLOTTERS.ZIP). If you are using Winzip or Windows to extract the zip file, you can simply drag and drop the zip file contents into this folder. Inside the Plotters folder, you will see a PMP Files folder. This is the correct location to extract the PMP Files (PMPFILES.ZIP). Close the Plotters folder. In the AutoCAD Options, click “Plot Style Table Settings”. This will open the Plot Style Table settings window. In that window, click “Add or Edit Plot Style Tables”. This will open the Plot Styles folder. This is the correct place to extract the Plot Styles (PLOTSTYL.ZIP). 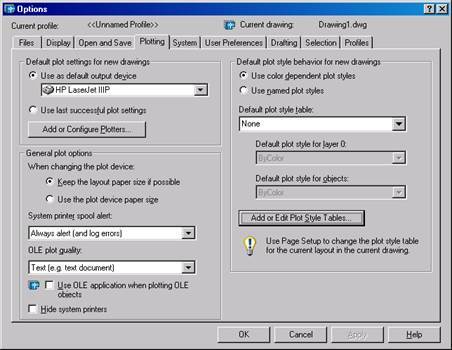 Close the Plot Styles windows and the AutoCAD Options window. Close the Plotters folder. In the AutoCAD Options, , click “Add or Edit Plot Style Tables”. This will open the Plot Styles folder. This is the correct place to extract the Plot Styles (PLOTSTYL.ZIP).